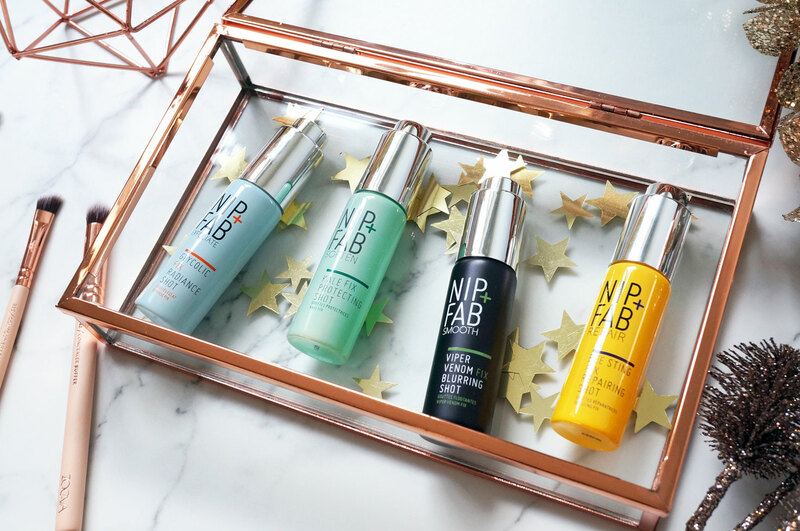 It’s been while since I’ve had Nip & Fab on the blog – for those not familiar, Nip & Fab is basically Rodial’s little sister, offering effective and affordable skincare solutions aimed at a slightly younger market. They’ve just launched a brand new range of four skincare ‘shots’ – which are basically concentrated serums and oils, designed for specific skincare concerns. To use them you just add a ‘shot’ to your favourite moisturiser or serum before applying to the skin – easy. Firstly we have the Glycolic Fix Radiance Shot – perfect for those looking for a boost of luminosity, the Glycolic Fix Radiance Shot contains glycol acid to retexture and resurface the skin, fruit acids to stimulate skin cell renewal, and amino acid derivatives to reduce the appearance of pigmentation. These exfoliating acids work to reveal a natural looking luminescent glow whilst aloe vera and allantoin care for the skin. The Kale Fix Protecting Shot – is a lovely lightweight, hydrating serum that’s definitely one to try if you suffer with dry and dull looking skin. The Kale Fix Protecting Shot contains a selection of vitamins (including B5, C and E), as well as kale extract and pronalen bio, to reinforce the skin, protect against environmental pollutants, and provide deep nourishment and boosted defence. The Viper Venom Fix Blurring Shot – is perfect for those looking to hide visible pores and smooth out fine lines. It contains 5x concentrated Syn-Ake to smooth and soften the skin, soft focus powders to give a matt finish with an instant blurring effect, and a tightening complex gives and immediate lifting effect, resulting in flawless, silky-smooth skin. And lastly the Bee Sting Fix Repairing Shot – this is a lightweight, nourishing oil that promises to repair and boost damaged and dry skin. It contains bee venom to help plump and firm the appearance of the skin, royal jelly to condition and repair, and hyaluronic acid to intensely hydrate. I’ve been trying to decide which would be best for my skin, and I’ve gone with the Kale Fix Protecting Shot (yep, dry and dull skin over here) – I’ve only just started using this but it really seems to be doing the job so far, leaving my skin feeling hydrated and nourished, and giving my complexion a ‘boost’. If you’re looking to amp up your skincare this January without breaking the bank, you should definitely check these out. 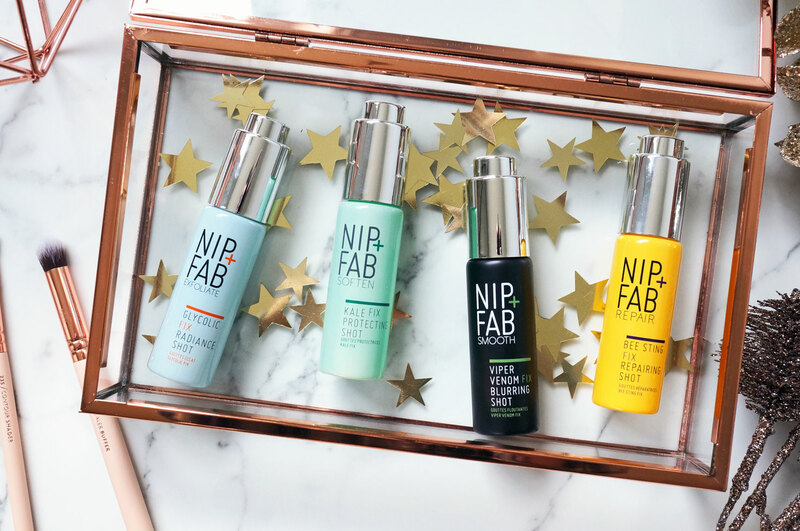 The full range of Nip & Fab Shots are available now from £19.99 each at ASOS.